Investing in the best down pillows can be life-changing. 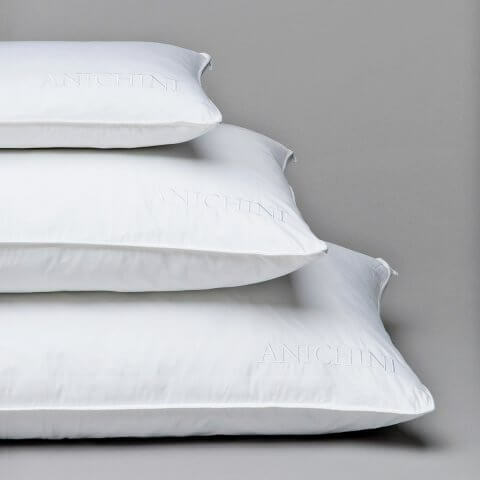 Protect your investment and extend the life of your pillows by covering them with pillow protectors. Easily removable for laundering, our pillow protectors are made from a 315 thread count Egyptian cotton sateen. They are embroidered with the ANICHINI logo and constructed with a hidden zipper. Covered with 280 thread count cotton twill. Constructed with 9 baffle boxes with 1 1/2" baffle walls.